What Mids fans need to know as Navy attempts to turn a 1-3 start into a bowl-eligible season. Who, where, when: Florida Atlantic (2-6, 1-4 Sun Belt Conference) at Navy (5-3), Saturday, 3:30 p.m.
Gambling is illegal in most states: Navy is a 16.5-point favorite. Why? : FAU’s rushing defense ranks 98th in the country, allowing 201 yards a game. While some of that damage was done in nonconference blowout losses to Georgia and Alabama, the rest came mostly at the hands of the Sun Belt, where FAU’s 1-4 record includes losses to 3-5 North Texas and 2-6 South Alabama. Navy’s sixth-ranked run game (271 ypg) is poised to explode at home; read more about Gee Gee Greene, Bo Snelson and the rest of the Mids’ slotback attack here. 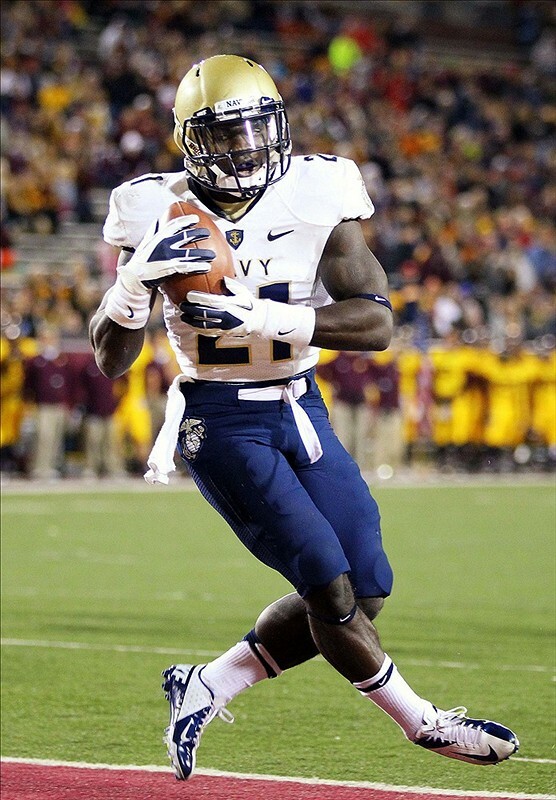 Key stat: Navy slotbacks averaged 7.9 yards per carry over the Mids’ last two games. The hot hand: While FAU’s offense hasn’t been much better (18.4 points per game), the Owls did manage a 27-24 comeback win over Troy last week behind a four-touchdown performance from fifth-year senior quarterback Graham Wilbert. The 6-foot-6 Wilbert ranks 77th in the nation in total offense with 202 yards a game and has thrown for 1,575 yards and 12 touchdowns on the season. His favorite target is another height mismatch waiting to happen — 6-4 sophomore wideout William Dukes has 34 catches for 480 yards. Look for 6-2 Navy cornerback Parrish Gaines to match up with Dukes and try to shut down FAU’s best chance at making an offensive statement. The other hot hand: Navy freshman Keenan Reynolds has done nothing but win since leading the Mids from behind to beat Air Force in overtime in Colorado Springs. Read more here from Don Markus at The Baltimore Sun on the Reynolds-led youth movement pushing the Mids toward the postseason. Unfriendly ground: FAU won’t travel farther north than Annapolis all season. It’s the first time the Owls have played Navy, and it’s a game well outside their usual comfort zone — Sun Belt foes, with the occasional sprinkling of cupcake games against nearby national powerhouses. A loud, unfamiliar crowd in Annapolis could knock the Owls out of it early. Navy’s never lost to a Sun Belt opponent (5-0).